I used Unscripted Sketches #233 for this little sweetie! Hope you're warm and safe! Thanks so much for stopping by! 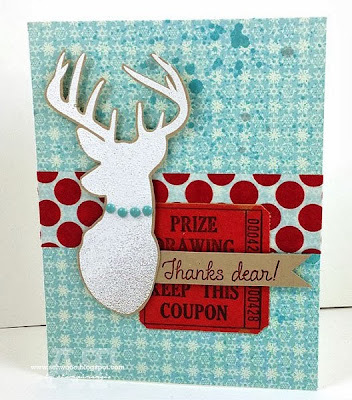 Hugs and happy stamping! Ack, seriously!!! The necklace on your deer head is so darn cute, I haven't seen that before! And it ties in so well with the sketch. GREAT idea, Angie! Absolutely Gorgeous! Love all the elements of the stag, the pearls, red with blue , a ticket, Schwooooooooooo --ewy!!! LOVE!!! 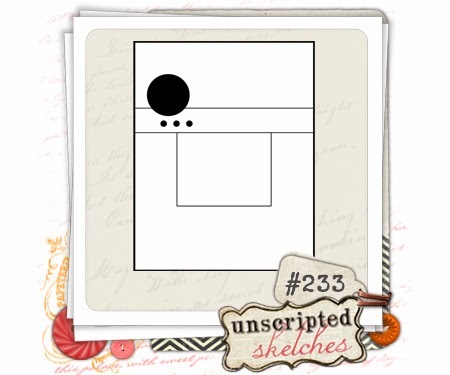 Thanks for adding this to the Sketch it Saturday Gallery on the Unscripted Sketches Challenge Blog!! Love it so!! !